Will I ever be happy? Just thought I'd update my Sporty brethren on my nonsense. Back to a truck camper. However, this time, went with a massive truck camper. Two slides. Kids and wife love it (very comfy and laid out nicely for four), but it's not the off-road worthy rig I want. Works for now. Next time? I'm likely to build my own camper from the ground up (Think F-550 Crew w/ 12'x8' flatbed as the platform). Still, for paved Baja roads and ski resort parking lot camping, this current beast will do nicely. Links to some pics if interested. Converted dinette sleeps two, Drop down bunk sleeps one, and full size queen sleeps two. 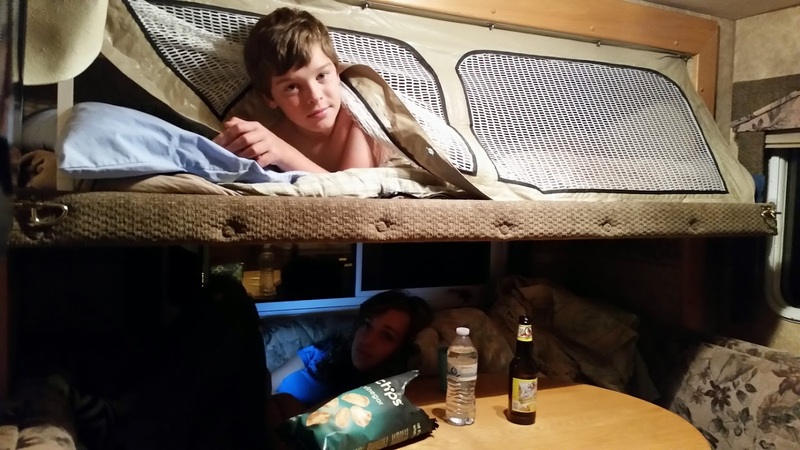 The bunk design is brilliant. Don't even want to guess how much over CGVW I am. The camper dwarfs my Chev 3500. Damn comfy though. Its like you're carrying a Sportsmobile in the bed of your truck! Once those kids are mature, responsible, all grown up and out on their own, you can downsize back to a SMB. Shouldn't be more than 25-30 years based on the pictures. If AndrewST leaves his home brew Sporty here much longer, I think I'll earn a possessory interest in it. Hey I've seen that camper before! Parked next to this on a recent trip to the Grand Coulee dam. Completely dwarfed our van. Now, I'm going to have nightmares tonight. I just know it (update: I did). Is there a thread associated with that pic somewhere? Looks like the greatly reduced tongue weight cap, due to that overly long extension, plus that huge/heavy race trailer that needs an electric jack, was the culprit. 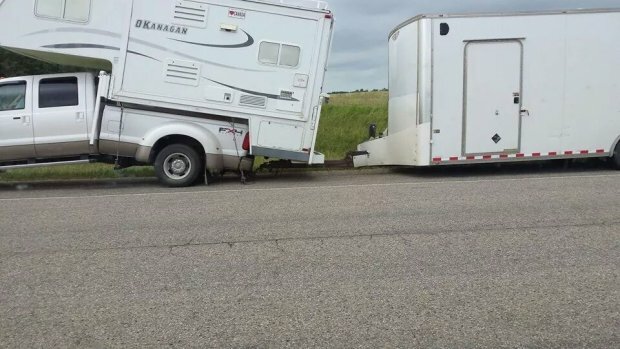 The cog of these campers is not too far aft of the rear axle.